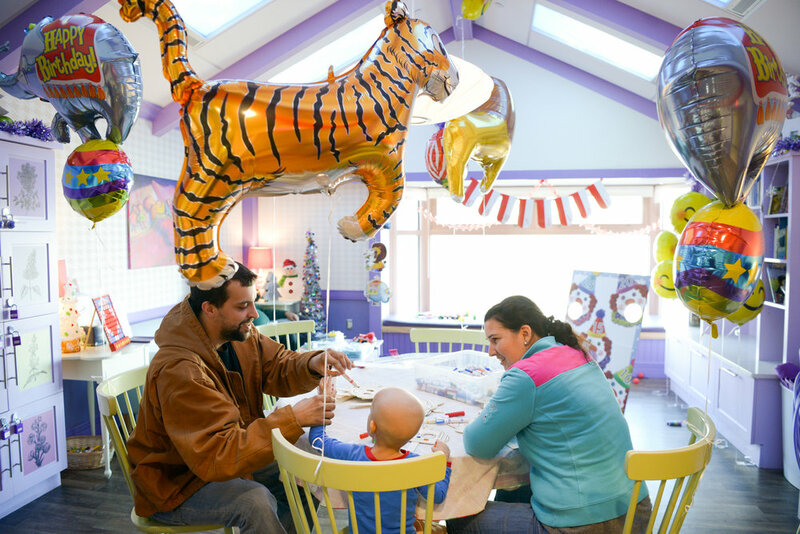 The Confetti Foundation’s main mission is to supply a birthday party to a child who has to celebrate their special day while admitted to a hospital. Our founder, Stephanie (who is also a professional event planner) has personally been donating her time and resources each month to Hasbro Children’s Hospital where she throws a “Party like it’s your birthday ™” party. These “unbirthday parties” have been a highlight for her and a reminder that when you are hospitalized you do not get to go all of your friends birthday parties, something all kids look forward too. These parties are thrown in a community room (at Hasbro it is the Izzy Room) and the room is decorated with a birthday theme, cupcakes are served, games are played, special guests are invited, and party favors are given. Everyone who is admitted to the hospital that day is invited to this party. January 1, 2019 marks our own 5th birthday. We are celebrating in a BIG way. Stephanie will be traveling across the country to host a “Party like it’s your birthday party” at various children’s hospitals! Check out our CALENDAR to see where we will be next!